Knitting Cards on the Go! About Knitting Cards on the Go! Knitting projects for busy people on the go! 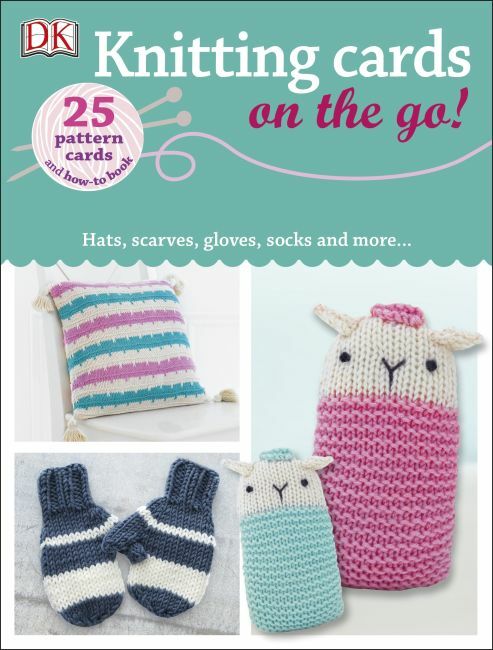 On the Go Knitting offers 25 knitting patterns on cards for you to carry around wherever you go. Each card is perfect for popping into a handbag to take out and about and comes with beautiful images of each finished product so you know exactly what you are aiming for. Each box also comes with a useful 32 page booklet, showing key knitting techniques. No matter what your skill level don't be confined to your house and start knitting on the go!